EDINBURG — The mayor of Edcouch appeared in county court Wednesday for his arraignment on a driving while intoxicated charge after failing to appear for his initial February arraignment. Virginio Gonzalez Jr. was formally charged with the misdemeanor offense Wednesday, having been indicted by a grand jury earlier this year, according to court records. 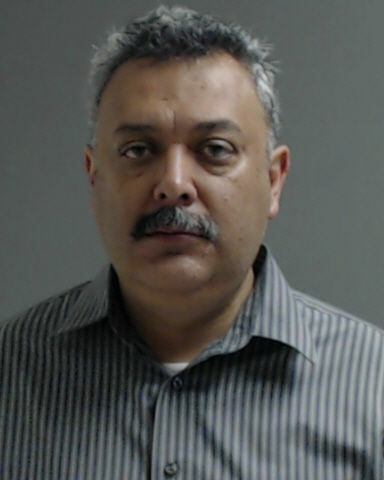 A Texas Department of Public Safety trooper arrested the Edcouch mayor, who also works as human resource director for the Edcouch-Elsa school district, on Aug. 31, 2017, after he committed a traffic violation on State Highway 107 in Edinburg. Gonzalez told the trooper he “consumed about three or four beers and was emitting a strong smell of an alcoholic beverage,” according to his criminal complaint. The arrest occurred during Hidalgo County’s “No Refusal” weekend, during which anyone pulled over for drunk driving is subjected to a blood test if they refuse to provide a breath sample. Gonzalez refused to take a blood-alcohol level test. Gonzalez entered a not guilty plea Wednesday and is set to return to court in mid-May for a pretrial hearing. If convicted of the Class B misdemeanor charge, Gonzalez faces up to 180 days in jail and up to a $2,000 fine. Because Gonzalez failed to appear for his initial arraignment, the county had initiated the forfeiture process for his $5,000 bond; that process was halted after his appearance Wednesday.